Prices are more volatile in the oil commodity market than any other commodity or asset market. The reason of high volatility is associated with the claims that market often overshoot as compared to underlying assets. However, changes in the underlying economic fundamentals can also lead to complex price dynamics. A diverse set of investors like investment banks, hedge funds and pension funds have a speculative behavior which makes it harder to predict the oil market trends. It is believed that record high global oil prices in 2008 were caused by speculative investments of financial institutions after which it suffered a sharp decline. There are many factors that are affecting the oil commodity market, such as demand and supply, the state of the global economy, oil futures trading, crude oil quality differences and implications of the policies. 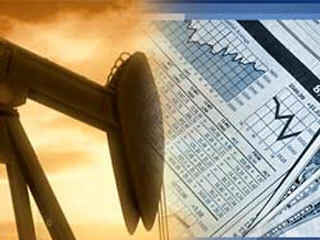 The energy analysts consider these factors as the foundation of an oil commodity market. In July 2008, a rapid decline in near-term global economic growth prospects caused a sharp decline of oil prices. Consequently, oil commodity market had to adjust quickly according to the prospects of a sustained period of poor consumption in both emerging and advanced market economies after years of increase in demand. The oil prices started rising gradually over the next two years and the rise in price was followed by a massive sell-off of oil. Analysts say that concerns demand was the cause of this sell off. Hence, supply and demand have a massive impact on the behavior of oil commodity market. Unlike other markets, dramatic changes in prices of oil do not ignite change in demand. While declining demand influence the oil price, high demand from the United States and constant increase in the oil consumption by developing countries concludes shows that demand is not likely to fall in near future. Supply can also influence the oil prices. Geopolitical wars and events can scare away the investors which lead to price volatility. For example, in early 2011 oil prices went high due to the concerns that a major supply disturbance could result from the unrest in the Middle East. The large supply holders have played a major role in moving the oil futures market and the spot prices to suit their target. Institutional investors, hedge funds and corporations have created a complex oil commodity market. They are the active participants of the non-industry oil speculation which masked the real demand and supply of oil in favor of the oil futures demand and supply. Therefore, if you intend to invest in the oil futures, it is important to seek advice of Your Personal Financial Mentor as he can analyze the market trends and can help you create a well diversified portfolio to minimize the investment risk. Prices in the oil commodity market are also affected by the variation in the quality of crude oil supplies. The best oil for refiners is light crude because it requires a small refining to make a high quality product, such as gasoline. Heavy crude oil requires a lot of effort to refine whereas; sour crude oil has 1% sulfur in it which is both toxic and corrosive. Many nations have started producing heavy sour crude oil due to older oil wells which has largely restricted the supply of light and sweet crude oil. According to some analysts, heavy crude oil production will increase the light-sweet crude oil production with the passage of time and as a result, volatility of light crude oil prices will increase. Is The Oil Price Decline Going to Stay A Trend In The Forex Market? Oil Mutual Funds – a Better Option?